Guitar legend Tony Iommi [Black Sabbath] talks to Stuart Jeffries at the Home of Metal exhibitions in Wolverhampton and Birmingham, celebrating the origins of heavy metal and grindcore in Birmingham and the Black Country, the crucible of the industrial revolution. Currently taking over art spaces in the West Midlands, the Home of Metal celebration of the loud kicked off with 40 Years of Heavy Metal and Its Unique Birthplace in Birmingham, and You Should Be Living in Wolverhampton. To celebrate, here’s a selection of art works, objects and memorabilia that showcase creativity at the heart of the movement. 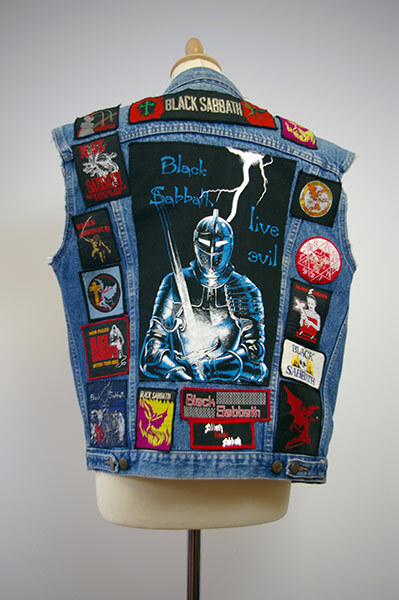 This entry was posted in Demolish A.D. and tagged 40 Years of Heavy Metal and Its Unique Birthplace, 80's metal memorabilia, Black Sabbath, Guitar legend Tony Iommi, Home of Metal, Home of Metal exhibitions, Metal memorabilia, Stuart Jeffries, the Home of Metal celebration, You Should Be Living. Bookmark the permalink.